has been an industry that is synonymous with augmenting the needs of majority of Philippine households. In a study released by Ken Research Private Ltd in April 2016, it is identified that 90% of the Philippine household subsist on less than $10 a day, making pawnshops a viable and trusted option for individuals in need of immediate cash. With more than 17,000 pawnshop branches in the country today, pawning provides individuals with easy and accessible solutions to immediate cash needs of the common Filipino. In spite the massive scale and the length of reach of the business, pawning is an industry that often struggles with the negative connotation that it preys on the needs of the destitute and the middle-class. There is also a connotation that pawning items is for those who are truly desperate for cash, while others worry on the safety and security of their pawned items. 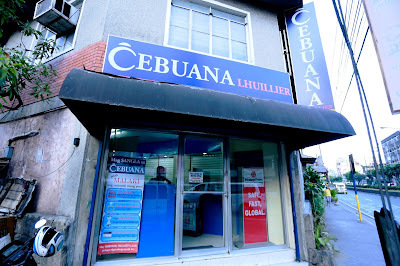 Contrary to these misconceptions, Philippine pawnshops are highly professional organizations that follow strictest code of operations, based on the guidelines set by the Bangko Sentral ng Pilipinas (BSP) and complies the strictest requirements on corporate governance as set by the Securities & Exchange Commission (SEC). In fact, pawnshops has become one of the biggest supporters of BSP’s program in promoting microfinancial services as a means of providing access to the poor and to micro and small entrepreneurs financial access, something that is not otherwise possible via banks and bigger financial organizations. “Pawning has become instrumental in changing the lives of many Filipinos – thanks to its capability to immediately ease and assuage a financial burden. As someone who has grown with the country’s number one pawnshop brand, I have personally witnessed many success stories made possible by pawning—from a mother who sends her children to school, made possible by a few heirloom pieces; to an enterprising young man who got his first business capital by pawning. Pawning proved to be the fastest and easiest means to get access to cash – this can be traced back to the days of ancient China and even to day and age of computers and technical advancements, the value of pawning does not change or diminish, especially when it moves and evolves with the changing of the times,” Lhuillier said. Strictest quality check for pawned items – pawnshops follow a strict guideline before they accept pawned items. Branch personnel are trained appraisers and follows strict regulations from BSP. Contrary to a common misconception that pawnshops accept stolen jewelries, pawnshop personnel are trained to work together with law enforcement agencies to prevent this from happening. Fast, efficient pawning process – In some pawnshops, the whole pawning process is done and over in five minutes. Pawnshops employ a dedicated lane for pawning clients and has adapted well to technology by putting modern systems in place to make sure the pawning process is easy, quick and efficient. Putting utmost value and care for pawned items – To ensure the safety of the pawned items, strict security process are followed – from the opening to closing of the branch, to the placement of CCTV cameras and guards stationed in place. Pawnshops are modern one-stop shop for microfinancial services – The pawnshop branches of today are bright, safe, air-conditioned offices that functions as a one-stop shop for its client’s microfinancial needs. For example, Cebuana Lhuillier, the largest pawnshop chain in the Philippines, is also considered as the country’s leading provider of microfinancial services. The company supports and actively campaigns the financial inclusion program of the government and has set services in place that answers the financial needs of the vast majority of Filipinos, particularly the underbanked and unbanked. Exceptional customer service in place– Understanding the value of pawned items left in its care, more established pawnshops usually has its own customer service team in place to handle queries and concerns. One good example of this is Cebuana Lhuillier’s 24K Card which serves as a loyalty card, eCard and money card all at the same time.